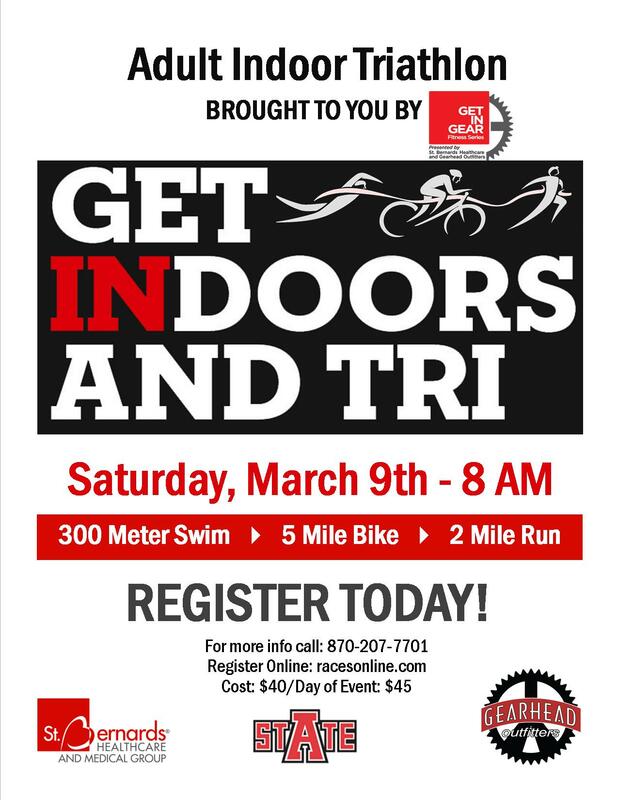 Join us at St. Bernards Health & Wellness for an indoor triathlon. If you have ever wanted to do a tri and just didn't want to commit to a long distance training plan or goal, here is your chance to do a super sprint. The tri will start at 8am. Please call 870-207-7701 with any questions.